This brand new house is located in a beautiful location with views across to the Monadhlaith Mountains. 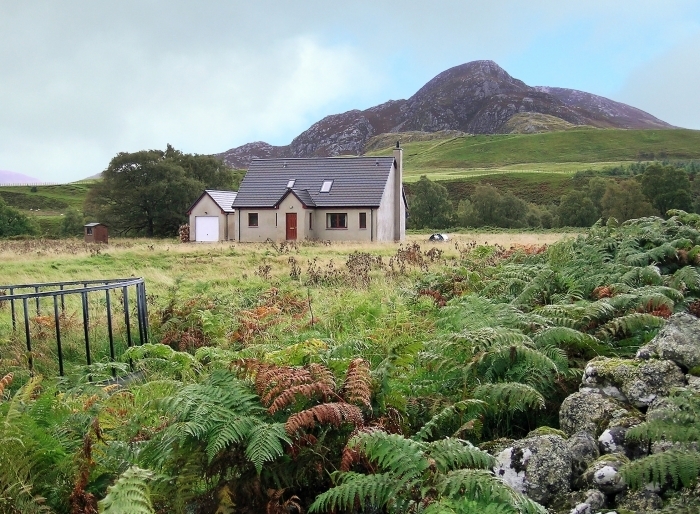 Fechlin cottage is the perfect holiday house for those who love Scotland's wild landscapes. 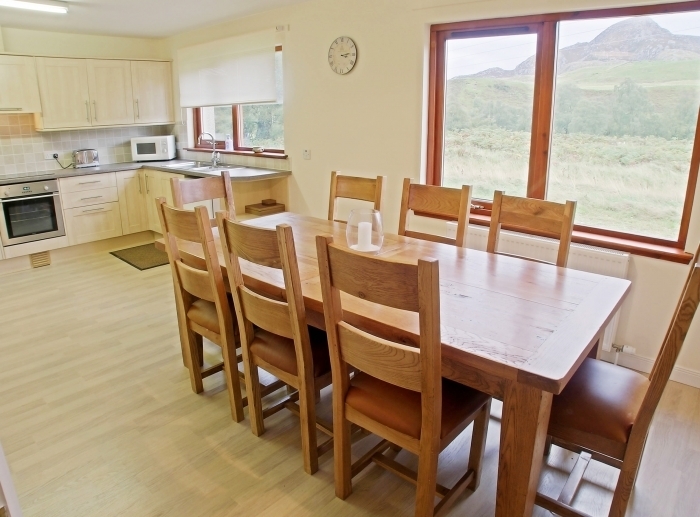 This lovely house is in a stunning location with views across to the Monadhlaith Mountains making Fechlin the perfect holiday house for those who love Scotland’s wild landscapes. Fechlin is beautifully located in open ground with views up the valley and you can fish for trout on the river running at the foot of the garden. Access to the house is over a very well maintained but unsurfaced road. The house is a delight – very bright and fresh with plenty of space, big windows and French doors to make the most of the views and it is beautifully furnished, making your stay very comfortable. The house enjoys a quiet location well off the road. 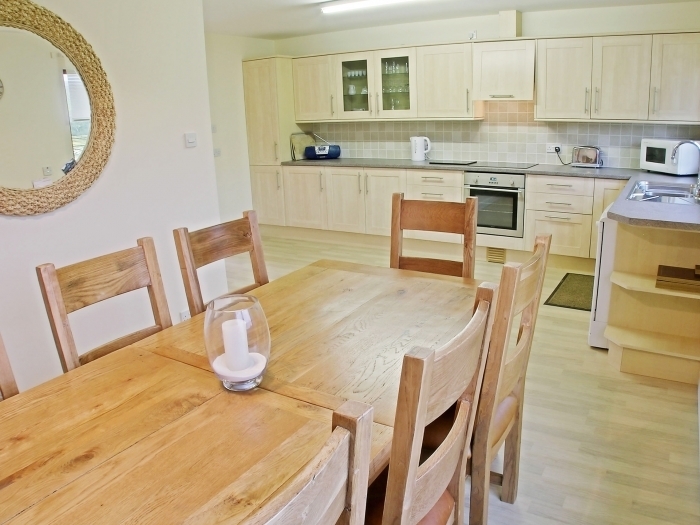 The kitchen/dining room is extremely spacious and very well equipped – a perfect spot to socialise whilst preparing and enjoying meals. The large sitting room with French doors to the garden has a wood burning stove for cooler days and a patio area to enjoy the outdoors. With a comfortable en-suite bedroom on the ground floor, this house has good access for the less mobile. 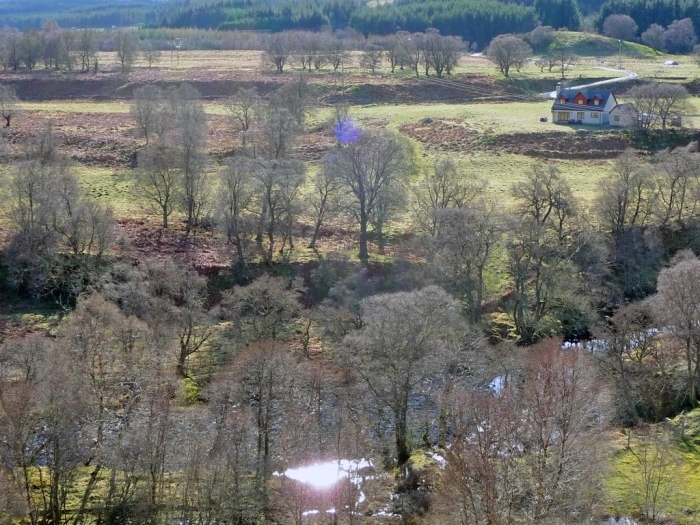 Whitebridge is situated on the quieter south side of Loch Ness and there are beautiful walks in the area and wildlife a plenty with red, sika and roe deer, otters and numerous birdlife in the immediate vicinity. 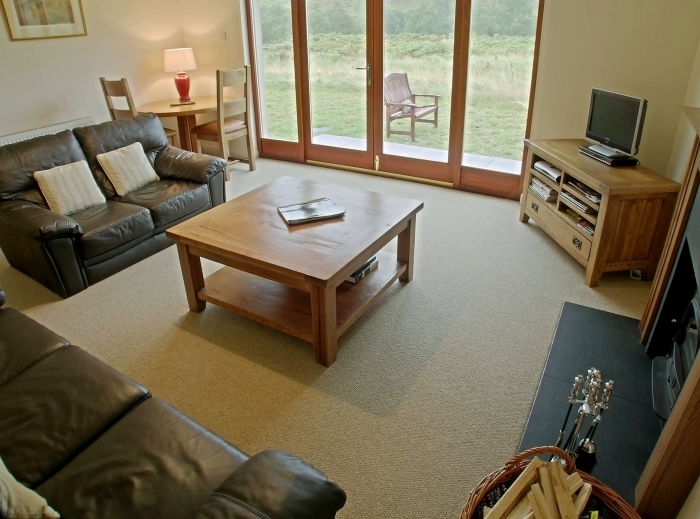 Fort Augustus, Loch Ness and the Caledonian Canal are only 20 minutes drive where many other activities are available, making Fechlin the perfect self catering holiday home from which to explore the Highlands of Scotland. Extra refundable cost: Good Housekeeping Deposit £250.00. 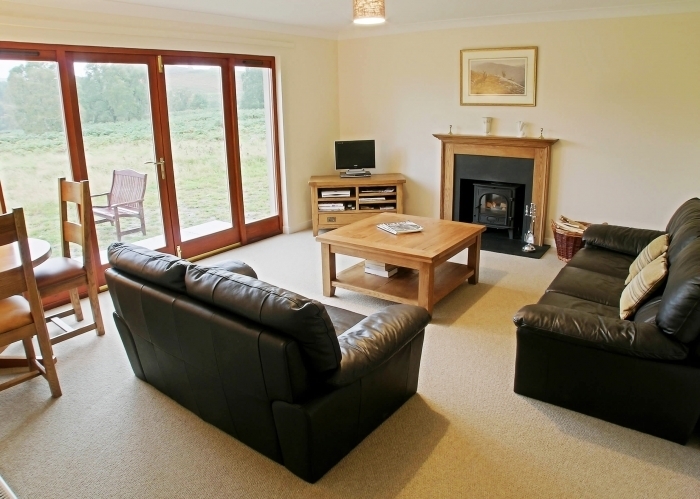 Spacious sitting room with wood burning stove and French doors to garden. Open plan kitchen/dining room. Utility room. Separate WC. 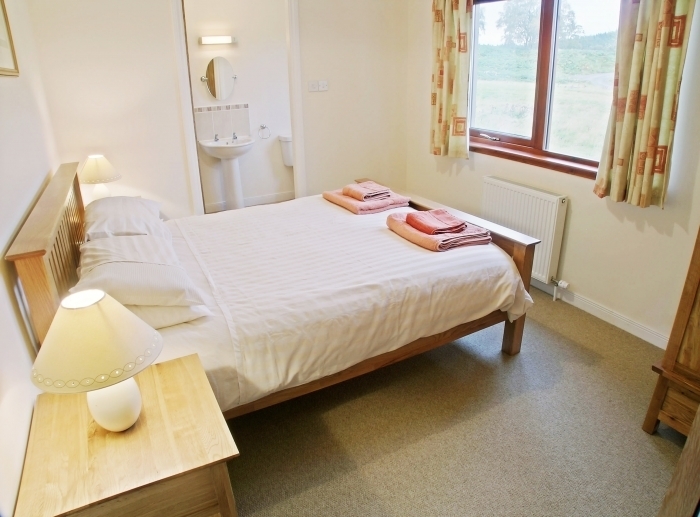 Double bedroom with en-suite shower room with WC, WHB and shower. 1 double bedroom, 2 twin bedrooms. Family bathroom with bath with hand held shower, WC and WHB.